At least 4000 acres burnt....But no cabins lost! The flowers are blooming around the mountain. 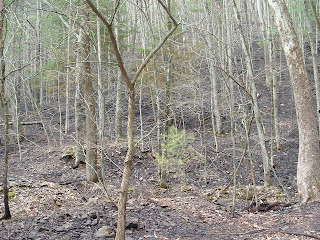 This picture shows a large Azeala bush down near a camp at Cedar Run. The daffodils are in full bloom and the trees are starting to open up. The only trees blooming are the Fire Cherry on the sides of the mountain. They look like little white puffs when you look from the top of the mountain over the entire valley. Today, I woke to a beautiful blue, sunny day. But thunderstorms are promised to us by this afternoon, so I will need to get all my outdoor things done this morning. Have a beautiful Leetonia day. Mountain girl, Paula, logging out. 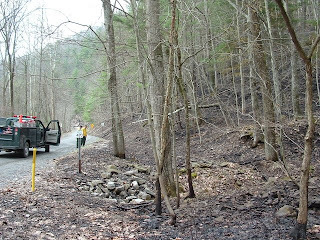 There was still smoke on the mountain to the South of Mine Hole Rd where it intersects with Leetonia Rd., this morning and the road was still blocked at Mine Hole. The road barriers have been taken down at Fahynestock Rd. With rain coming tonight and tomorrow this will hopefully be the end of seeing smoke coming out of the woods other than from a proper campfire or chimney. I have enjoying the comments of so many of the camp people who watch this blog and new ones who have just found it and are enjoying the mutual sharing of history and activities in and around Leetonia. Stop in and see the mountain girls when you visit Leetonia and share anything you would like posted on the blog or just come for a good talk. He has a picture from Spinning Wheel Vista of the burn area. Today was a perfect blue day all signs of the smoke are gone tonight. They still have Fahneystock and Mine Hole Road closed. I believe they are still watching some hot spots there as we saw some burning on the way to Cedar Run this morning. 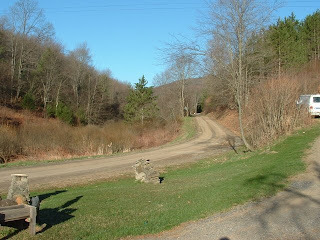 The good news is Elk Township has started working on the road from Mine Hole up. I am not sure when the State will do their part which is the worst of the road the last two miles up from 414. Seems like people are coming in to camp and fish during this nice weather. The bugs are particularly bad early this year so make sure you bring a head net or bug spray. I had to share this good picture with you after so much bad news over the last several days and also thank the majority of emails which are so supportive of the blog and connecting people with Leetonia. I have enjoyed my entire 55 years up here. First as a kid coming up for vacation, riding in the jeep with the Reese boys and getting those great peanut butter cups. Later as an adult I longed to stay up here full-time, but when you are raising kids life has a way of putting your dreams on hold. Now for the last 6 years, I have lived my dream. It is tough up here if you don't have an outside source of money as Mick will tell you and the romantic ideal of living in the woods, quickly gives way to the daily struggle of survival. But it is still worth every minute of it. The good, the bad, the hard and the wonderful beauty of this great forest. As I drove home today dodging a deer and watching a turkey scoot out of my yard as I drove up, I know why I love it. You all have a great Leetonia Day! Mountain girl, Paula, logging out! I was in the mountains of Leetiona this weekend and when I got home, I checked your blog to see if there were any updates regarding the fire. I have spoken to others about your blog, and some have expressed their outrage about your comments. I had generally blown those comments off, but after reading the blog comments about the fire, I feel compelled to speak out. Bear in mind that I was in the mountains this weekend, as the fire burned. You make mention that "The ability of the State to get information to us and volunteers is paramount to a disaster waiting to happen. We can't get local television, nothing is on the radio, the firefighters and the Forest Rangers know nothing and this places much of us and our property in danger." Here are a few key points. 1. The State had people come in from all over to fight the fire. The people stationed at the Mine Hole bridge were from the Pittsburgh area (I stopped to talk to them). So volunteers were contacted and they mobilized quickly. You may want to thank these people instead of ridiculing them. 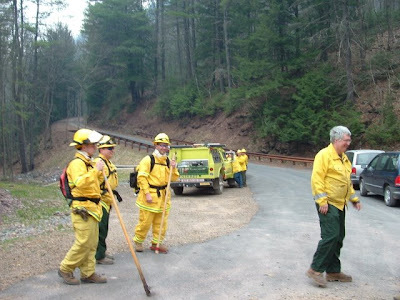 I am thankful to the volunteers, but they were misused by the State and left standing for the most part to do nothing and that comes directly from the firefighters themselves. This is one of the reasons I wrote about the fire. 2. In conversation with the firefighters at Mine Hole, I had asked them about the fire, its size, and it's trajectory. The gentlemen there told me that they would be going up the creek towards Leetonia to inform people there about the fire, if they were in any harm. That hadn't been done at that point......guess why....they were busy fighting and trying to contain a fire. I was very confident with the job these guys were doing. When it was time to go knocking on doors, they would have done so. I talked to the firefighters at Mine Hole Road they didn't know anything and were standing around waiting for instructions"Their Boss" didn't know the woods and was running around lost. Then we I asked them about my safety they made an of the cuff comment that frankly I will not write, since it was very unprofessional. 3. You must remember where you live...you live in the woods just outside of Leetonia. I know exactly where your cabin is; I've been going to that area since I was a kid. You chose to live in a very remote area of Pennsylvania. News and information is not readily available. It is your job to find/seek out the news and take care of yourself. 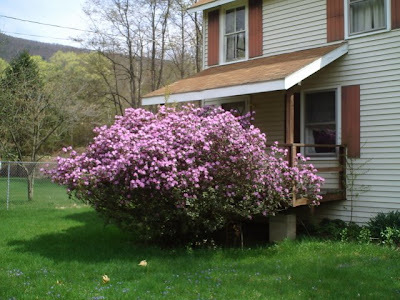 If you want a news station, a town hall, a chief of police, and/or fire chief to inform you of fires, danger, etc., there is a lot of acreage for sale near Coudersport. There you could drive and complain right to the Mayor himself. But since you choose to live in remote Leetonia, you should not complain about communication regarding incidents such as the fire. It is your job to take care of yourself. What is next? Call boxes on every tree along Cedar Mountain Road, in case of emergency?? ?I love people that tell me how I choose to live in Leetonia therefore I do not deserve any services. My grandfather bought this property in the 40's, this is where my heart is. I have always felt like this was my home. It would break my heart to be anywhere else. 4. Forest rangers up there do a good job. 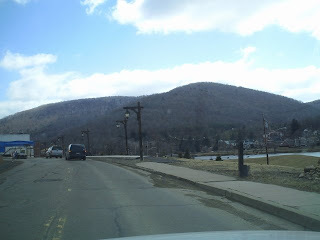 I see DCNR driving around up there every weekend. They are the only ones up there driving around and watching after people. They deserve no ridicule. Bear in mind that they are the ones who got all the volunteers up to the mountains. Otherwise, many cabins would have been turned to ash. The Forest Rangers are few and far between and we are treated more like squatters on this land then residents. They do the best they can with little resources. And that is all I really have to say about the fire. Volunteers came in and did their best. Your complaints about this are really troubling. You should really be thankful, instead of complaining. Those guys from Pittsburgh were volunteers and didn't get paid to be there. And that goes for all of the other volunteers that showed up too. 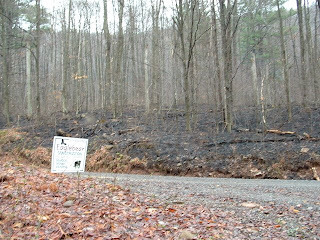 You should really contact DCNR in Wellsboro, find out who volunteered, and send them all a "thank you" instead of bitching. If you read the blog better you would understand that I appreciate the firefighters. I feel they were treated with disrespect by a poorly run fire scene. This doesn't have anything to do with the firefighters but the administration of the fire. And now for the "snow". Your comments were as follows, regarding plowing of the roads. “For those of you this inconveniences I am sorry, but I could no longer afford the luxury of not working in the winter months. If anyone would like the roads not to be plowed and would like to pay me a salary for not working. I would be more than happy to return them to their natural state." First of all, this comment is a slap in the face to all those who have snowmobiled in the forest for years and years. I understand that you have to work, but you chose to live in this remote area. Who are you to make those people who have snowmobiled up there for so many years change, just because you decide to move into town? These people had been enjoying the snowmobiling those routes for years, and who are you to keep them from that tradition? In all the years that Glen and Mick had lived up there, did they ever have the road plowed? If you can't get around up there, then maybe you really don't belong up there in the winter. Having the road plowed was a disrespectful act to all those who snowmobile up there. What a slap in the face, that hundreds of people couldn’t use that road in the winter because someone from out of town moved up and can't/won’t adapt to the winter conditions. And to say, “if anyone would like to pay me a salary for not working” is ridiculous and confrontational. This doesn't even deserve comment unless you live up here in the winter. And finally for the “Flatlanders”. In the Flatlanders versus Ridge Runners blog, someone sent you a photo and asked you to guess which shoes were owned by the “Flatlanders”. While it may have been funny, I was thinking about it. Who truly is the Flatlander up in the hills of Leetonia? It seems to me that the true Flatlanders are those who cannot truly take care of themselves in that wild terrain. In the sincerest definition, it is the Flatlander that would be writing blogs and complaining about communication problems in the mountains, whereas a true mountain person lives in the mountains to get away from the city life, e-mails, fax machines, computers, etc., and accepts the responsibility of taking care of themselves. True mountain people adapt to their wild surroundings. They would not inconvenience others, just to make their lives easier. The Flatlander vs Ridge Runners blog was sent to me by a flatlander as a joke they made those comments not me. Your definition of a mountain person interests me as to its narrowness. Without this blog and my connection to the world very few people would be able to connect to this wilderness from their homes, which is my goal. The forest doesn't really like any inhabitation by me, hunters, snowmobilers or racers. Getting the road plowed gave the ability for emergency service we do not have up here and for another aging mountain man who lives close, came just in time this year. If I did not accept inconvenience and isolation I would not be here...but it isn't my job to make the woods convenient for others to exploit. Let's face it we all have our agenda's mine is keeping the forest a place for the animals and nature and that often conflicts with human fun. I write this blog to keep track of history and events these are my views and it is my right to have them. If you can't follow it don't read it. Only a Flatlander would move into Leetonia, have the road plowed and disrupt and disrespect snobmobilers, just because they can’t accept the responsibility of getting themselves around in the snow, a responsibility that was accepted when moving into that remote area. Only a Flatlander would complain about the volunteer firemen donating their time to help fight a fire in the Flatlander’s backyard. Are you truly “Mountain Girl”? Perhaps your “handle” should be “Flatlander Resident in Leetonia”. Only Flatlanders would show this kind of disrespect to the land and the generations of people who use, visit, work and volunteer in the forests of northern Pennsylvania. It is curious to me that you have resorted to name calling by the end of your response. 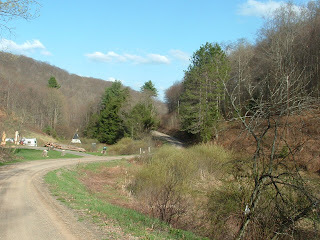 There are hundreds of campers, past Leetonia residents that appreciate this blog, its information and my occasional rampage of which I have the right to be upset when my life and property are threatened. The road being plowed this year was the first time in 6 years we received any services and it is a small section of the road that is available for snowmobilers. Many people who have camps up here have told me how much they appreciate being able to get to their camp during the winter. Maybe you should just snowmobile somewhere else. These pictures were taken today all except the last one. The first picture is on 414 after the narrow where the fire started on Saturday afternoon. Right now they are thinking a cigarette tossed from a car started the fire. eating up the woods towards Fahneystock. The plan then changed to stopping it at Fahneystock. When I went to check it Sunday morning at 8:35 I saw nothing near Fahneystock, like I did this morning. So Sunday afternoon I was more confident it wouldn't make it to Leetonia. I am glad I didn't know it got as far as it did. If it would have made it past Fahneystock, it would have been clear sailing to Leetonia. I just finished remodeling last year owned by Michelle Foray. You can still see my sign on the side of the road that the camp is on. As much as I like repeat business I am glad I didn't get any this way. jumped and it must have jumped high. In fact there it jumped so high there were accusations that the fire was set and this was a new fire. I don't think I believe that. I think the wind was capable of throwing a spark far enough to make it look that way. All of the camps along the first part of West Rim, Mine Hole, and Fahneystock were evacuated if anyone was there. Fortunately none were lost. I truly believe the rain saved us. I don't think they could have held it from jumping again without a little assist from Mother Nature. The last picture is a view from Cushman View showing the smoke(none of that is fog) from the fire on Sunday. It got a little tough on breathing until the rain came. There isn't an official acreage count yet, but one of the DNR people told me at least 4000 acres were burnt. Their explanation for the bad communication. It covered different forest districts and only the Williamsport office had accurate information. I called Wellsboro and they didn't know anything and what they did know was wrong. Yet, I was informed that I should call them for any information and if I was in danger someone would come to the camp and knock on my door. They didn't say if that would be before or after the cabin burns. Sorry, but I am a little cynical and angry about there communication abilities. Nothing on the radio, nothing with the State Police a big nothing. So Matt Baker called me and I am writing this up for him to help facilitate some better system. I don't want to be here for a knock on my door that comes too late. Mountain girl, Paula, logging out . 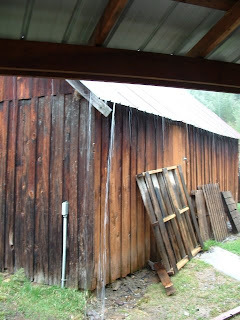 Well at this point the rain saved the day as you can see it pouring off the back porch. Thanks for all of your prayers, thoughts and offers of places to stay. It makes you appreciate good friends and neighbors the value of which can never be burnt away by a fire. 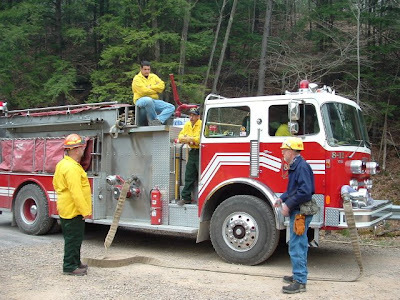 On the darker side of this story, the multitudes of volunteer fire departments that showed up to help us out were poorly treated by the State. Someone needs to answer for the lack of concern shown to our firefighters, and property owners. There is little or no communication from the State to us or the firefighters. I am not sure of the reasons for this, but our lives and property are being placed at risk all for who controls the scene. I spent all day trying to get information without going directly to the fire and had little success. It is not very comforting to smell smoke all day and night and not know if you are in danger. I talked to the State Police, the Forestry Service and the local fire departments and found out less than I did smelling the air. We have no disaster plan and little ability to find out information in a timely manner. Having a working disaster plan is something that cannot wait. This is the second time in three years we have been threatened by forest fire and the second time it has been handled in the same manner. Enough already! We need a plan immediately that communicates with people, and best uses the generous resources of our volunteer Fire Departments. This doesn't need to be difficult. We are not a town of millions but less than 100. Anyone who has ever been part of a small community knows that there are a few key people the State could keep informed and everyone would know. Why is that so hard for them to do. We don't need an elaborate evacuation plan.... we know how to get out of the woods... we live here. Why send people up here who don't know the woods to give us a plan. Just tell us what is going on. Involve us and we can save ourselves and others. This plan needs to respect our local firefighters....use them and not abuse them by making them stand around while our forest burns. THIS IS UNACCEPTABLE! I am generally not a protester or a complainer, but fire scares me enough to make me one. I know this probably won't make much news, since Tuesday is election day. But if you have a voice after you vote. Call Matt Baker and let him know you want to be safe in this Canyon. Now is the time for bravery before someone dies for lack of a plan. Mountain girl, Paula, logging out and sleeping better tonight! This morning I woke up to heavy smoke coming up the valley and no information as to where the fire was. I called the Forest Ranger office and was told the fire was in Leetonia and to evacuate. As usual this information was not correct. But not knowing this I started the usual panic of what to take what to leave can I keep the cabin from burning. I looked around the cabin and realize that even though we are in a fairly open area I have a lot of burnable stuff near the cabin. I heat mainly with wood and there is 6 cords of season wood and 10 cords of new logs in the front lawn, there was also a lot of dry brush in the ditch along the house before the creek. The hopelessness of realizing there is little you can do in a short period to change your fire risk was overwhelming. I set the sprinkler on to start wetting things down and took a trip down the road to evaluate how much time I had. 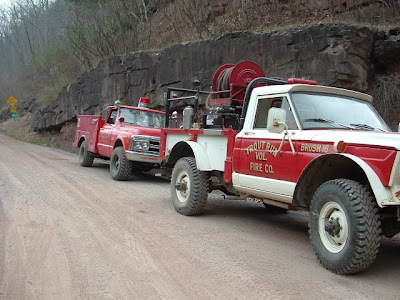 The fire was not in Leetonia in fact I drove 5 miles to Mine Hole road before I found fireman from the various departments of Avis, and Trout Run who barely knew where they were let alone the status of the fire. As a permanent resident of this woods this is nothing new when it comes to fire. The ability of the State to get information to us and volunteers is paramount to a disaster waiting to happen. We can't get local television, nothing is on the radio, the firefighters and the Forest Rangers know nothing and this places much of us and our property in danger. I am not sure how this can be solved but it needs to be addressed before lives are lost. Mountain girl, Paula, fired UP! This afternoon Lee smelled smoke in the air, normally something we get used to in the winter coming out of the chimney. But today it was 80 degrees and we didn't have a fire in the stove. We didn't think much of it until we got a call from Cedar Run and Howard Bradshaw, one of the guys whom I am doing work for. "Are you all right up there?" he said. 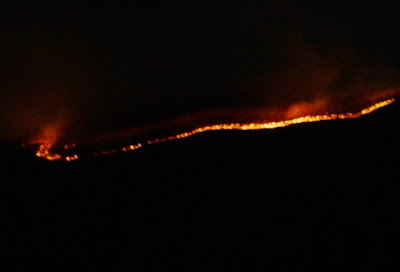 "Well, I am watching a fire going all the way up the mountain towards you guys and its been burning all day." Not much scares this mountain girl, but fire and for good reason. 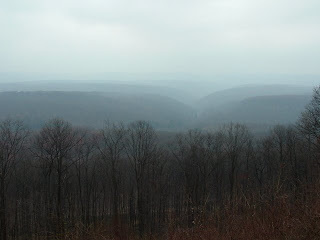 During the 30's many people lost their lives up here in forest fires in and around Leetonia. Some stubbornly sticking with their homes until it was too late. We only have two ways out of here and fire can have a way of cutting you off. We checked out the fire at 11pm on the 19th. and estimated a fire line running up from Cedar Run across the West Rim towards Leetonia of at least 10 miles. Fortunately it seems to be moving slowly and is at least six miles away from us at this point. As much as I love this place there isn't anything here that can't be rebuilt and we will be moving out quickly with the dogs if needed. On a good note rain is called for in the immediate forecast. This is good because they aren't attempting to put this fire out right now it is in a very steep area that would be almost impossible to work on so they are letting it burn and establishing cut off areas. I will know more by morning and promise you an update unless I am forced out before then. So don't any of you worry the mountain girls don't take chances with fire. Mountain girl, Paula, logging off, and praying for the best. Today was the first day we saw the barn swallows. That means they will be trying to build nests all over the house and we have to get the screens up on the porch before they claim it as well. 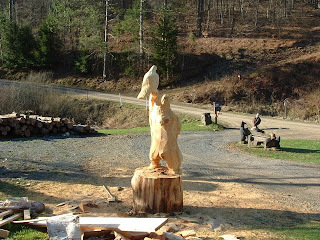 I thought I would include some progress on my carving. It is not turning out as well as I had hoped, since I found a bad spot in the log right between the bears legs, but it is my first attempt at something so large. I am wishing at this point I would have tried an easier bear pose. see no snow! Yeah! The grass is getting green and the trees are starting to bud. We have a perfect blue day starting in Leetonia. This is the kind of day I love living up here. The day started with a little frost but is supposed to get up into the 60's. Sorry I haven't written sooner, but I lost my small camera and the one I used today isn't as easy to carry around. I like having some pictures instead of just words to share. Have a great Leetonia Day. Mountain girl, Paula, logging off. When I was in Galeton a few days ago the DNR was stocking Pine Creek at the area behind the library. Make sure you click on the video to get it to play and you will see some really nice trout they put in for someone to catch. A quick note for anyone wanting to come to Leetonia. The roads are muddy, but mostly clear with some small patches of ice. Four-wheel drive recommended. Expect to get a really dirty vehicle. Mountain girl, Paula, logging out. For those of you who haven't been to Galeton for a while you won't recognize it. They decided to do a city renovation project. Which means they took out most of the old building along Hwy 6, widened the road and added a few street lights. 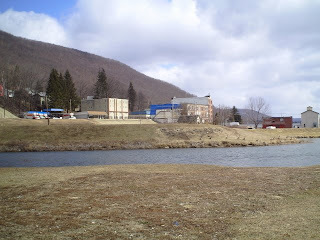 My personal feeling is one of loss for the old structures and a sort of death of the look of Galeton. Now the road way is bare except for a few surviving structures and the town has effectively been moved to the other side of the creek. Without business or a source of livelihood for Galeton I wonder what the next ten years will bring? Mountain Girl, Paula, logging off!